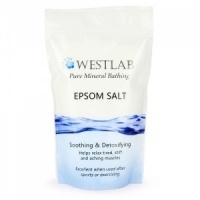 Made with no artificial sweeteners, flavourings, colourings, preservatives or whiteners. Instead just delicious natural ingredients like strawberries, lemons and fennel. Q: Does it contain any GM ingredients? Q: I’m having homeopathic treatment. Is Kingfisher suitable? A: If your homeopath prefers you not to use mint toothpaste, our fennel or Strawberry toothpastes will be ideal. Q: Will my children like it? Q: Will it get my teeth clean? A: It will. 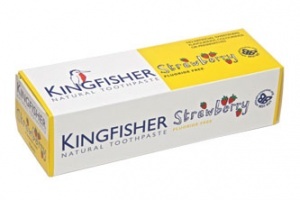 Kingfisher comes with the important British Dental Health Foundation approval which states that our toothpaste is a valuable aid to oral health. Please note that our Children's Strawberry is fluoride-free and, consequently, does not carry the BDHF seal. Q: Does the use of coconuts in Kingfisher toothpaste endanger the rainforest in Sumatra? A: No. We have written assurances that the Sumatran palm oil that we use comes from sustainable managed estates. The growers are working closely with the World Wide Fund for Nature (WWF) on a Palm Roundtable initiative and are founder members of this organising committee. We believe that working with local people to build a sustainable future for the land, the animals and them is a more constructive way forward than boycotting. Q: How green is my Kingfisher? A: We are really happy to be an Ethical Consumer Best Buy. As a caring company doing our best for the environment it means a lot to us to get this particular recognition. Its also gluten-free and GM-free and not tested on animals. Children under 6 should use a pea sized amount for supervised brushing to minimise swallowing.